Last month the developers announced a partnership with Image Comics and Top Cow Productions to release a comic series based on the game. The first issue, written from the point of view of protagonist Commander Alex Oshima, has just been published and is currently available for free download at adrift.com. It’s relatively short and, unsurprisingly, a bit exposition-y but also offers some neat insight into a couple of the characters so if you have a few minutes give it a shot! 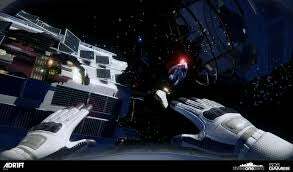 ADR1FT will be released on Steam, PS4, and Xbox One this September.